This is the second part in our Free Software on Android Guide. This time we’re taking a look at the great apps that are available on F-Droid. NewPipe is a great app for casual youtube viewing: It does not authenticate you against Google, therefore keeping your watchlist private. 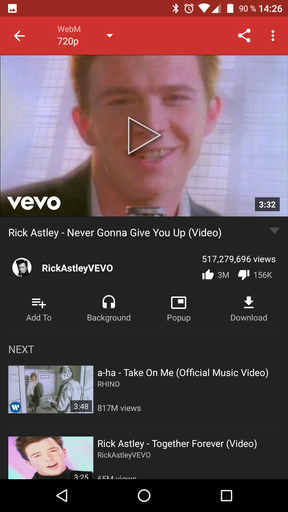 It also allows you to play the audio in the background or pop the video out, allowing you to use other apps simultaneously. Drawback for some is that subscriptions don’t work as expected currently. Standard Android is bad: not only is its source not available, it also spies on you—through many apps that are often preinstalled by vendors or provides as well as the operating system itself. Over the past year I’ve eliminated nearly all non-free (as in Freedom) components on my Nexus 5 and replaced them with Free Software—software that respects your rights and freedoms. A word of advice: If you plan to free your device as well, there is no need to do it all at once. Start by replacing isolated programs one-by-one and your ride will be much smoother. This is my blogpost about this topic. There are many like it, but this one is mine.